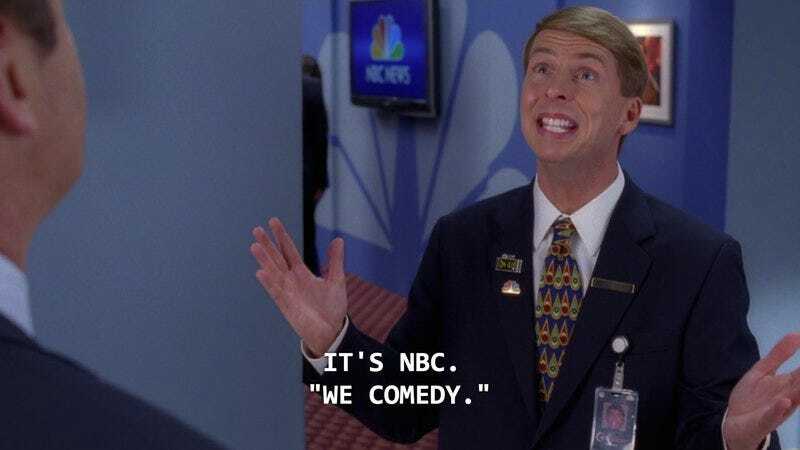 The past season was particularly rough on NBC’s supply of punchlines and wisecracks: Its longest-running sitcom, Parks And Recreation, ended in February. In addition to axing A To Z, NBC did not peacock Bad Judge or Unbreakable Kimmy Schmidt, with the latter fleeing the underground bunker of the network’s midseason schedule for the colorful playground of Netflix (and a second-season renewal). With the fates of Undateable and One Big Happy undetermined, People Are Talking, Crowded, and Superstore join the Eva Longoria vehicle Telenovela and the revived Craig T. Nelson retirement plan Coach on the Peacock’s comedy slate.